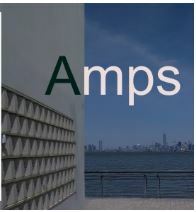 Journal summary: AMPS (Architecture, Media, Politics, Society) is an international nonprofit research organisation. AMPS sees the definition, debates and concerns of the built environment as intrinsic to those at the heart of other social, cultural and political discourses. The territory it seeks to explore is an overlaid terrain in which the physical, material and the environmental are critically examined through the prism of the cultural, the mediatic, the social and the political. Its focus is cross disciplinary and draws on the media, politics and the social sciences. It invites participation from all sectors: architects, planners, policy makers, artists, academics, the public and community activists. It functions as an open access platform for publication, a forum for debate through conferences and workshop, a conduit for book publications and also operates as an academic resource repository. Run by information professionals, the repository offers up-to-date materials and listings for research. Its social aims can be defined as: promoting an understanding of the role of architecture and the built environment on communities, public health and society more broadly; engaging all its stakeholders in events and debates aimed at better understanding and communicating the needs of each party; and providing openly accessible materials such as written articles, research guides, current event listings, and a database of organisations that support these aims. I have met with new colleagues and contacts at the County Council, the Borough Council and the Hoteliers’ Association over the past couple of weeks. Discussions generally focused on non-heritage topics such as hotel occupancy levels and booking systems and followed through to community safety and bar/pub operations, including the Best Bar None and Purple Flag schemes. However all this “tourism talk” had clear parallels with ideas being discussed on aspects of museums, archives and conservation service planning (the more hard-core heritage operations!). What has been interesting is that the glue linking such topics and meetings was a shared aspiration for what heritage and culture can do in an specific urban setting such as Ipswich, or a wider County context for Suffolk. The physical infrastructure that surrounds us – the very material of the historic environment – has a lot to offer a location that recognises and understands that diversity in, and care of, the physical built environment draws people to places, makes people feel safer as they walk about, and provides opportunities to explore the culture of a locality away from the bubble of a car’s interior. People linger longer… The twilight and night-time economy, and the visitor experience of a hotel or pub within its cultural environment is enhanced through the literal and metaphorical ‘footfall’ of lingering, but much more needs to be understood about how people move about in a location, what they do, and how many there are. There are a variety of evidence bases which can be put to use, and much data does exist – but a research aspiration over the next few months is to establish a clear data requirement and help design a useful multipurpose evidence base that will link place, hospitality and economy to underpin some some of those local aspirations.